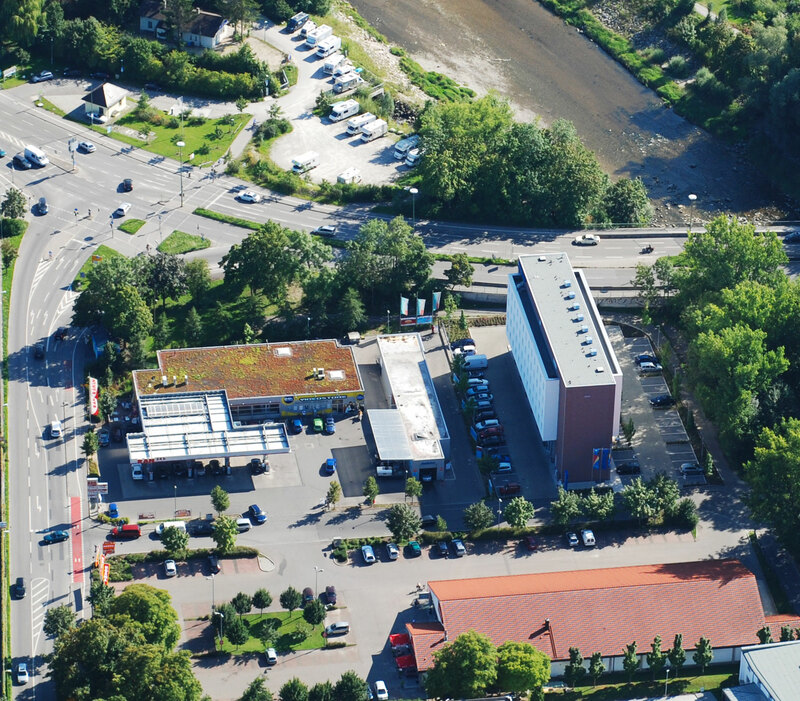 For our guests the location of the ibis budget Augsburg City is very attractive, because it is situated close to the historical city center of Augsburg. 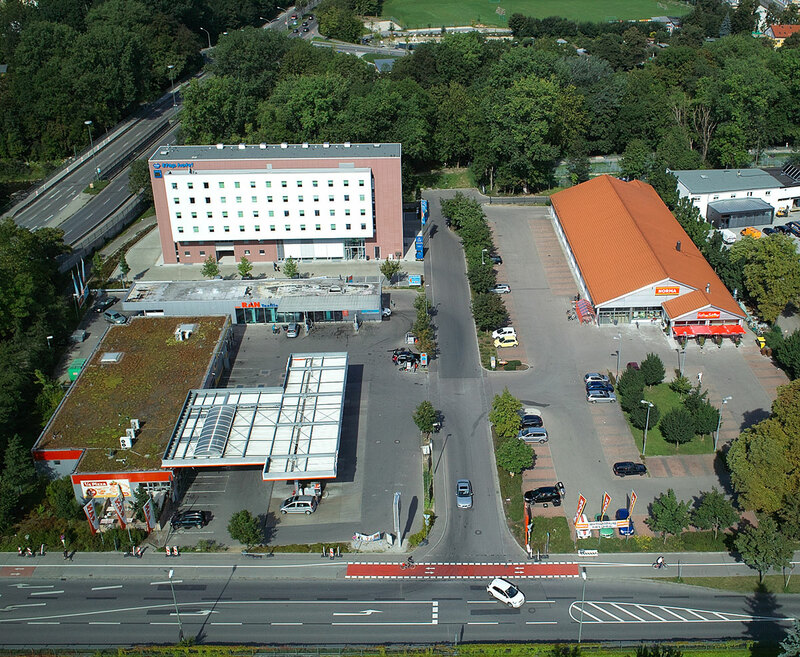 Bus tour operators will be attracted by the location of the hotel, because there is an easy vehicle access (directly from the Autobahn A8 and Bundesstraßen (federal highways) B17 and B300) – and because there are wide parking grounds around the hotel, what makes it easy to park even huge tour buses. The aerial images below show the broad offers of parking lots for cars and buses.